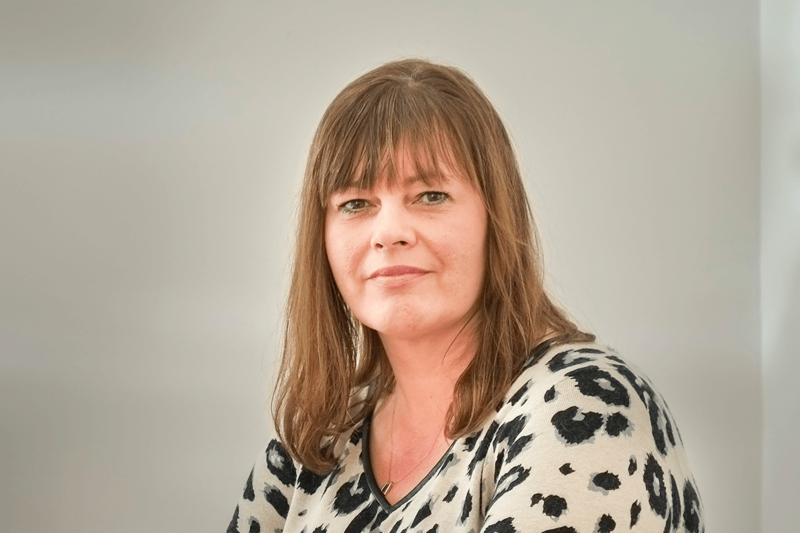 Deputy Editor of Grazia magazine, Features Editor at the News of the World, Head of Features at the Daily Mirror, and a journalism career spanning 25 years, Carole Watson is now Programme Leader in Fashion Journalism at the University of Sunderland. Here, she shares an insight into her distinguished career and talks about the opportunities the University of Sunderland has to offer aspiring journalists. Carole was 18 when she signed up to do the National Council for the Training of Journalists (NCTJ) nine-month fast track course, and by the time she was 19 she was working as a News Reporter and Crown Court Chief at the Pick of York Freelance Agency. She stayed there for several years before making the move back to her native North East to work as a News Reporter and Crown Court Correspondent at North News agency, followed by the Sunday Sun. In 1998, London came calling for a 30-year-old Carole who began working on the News of the World’s magazine, Sunday (now Fabulous magazine), as Deputy Features Editor. She quickly progressed to Features Editor, and was rewarded for her editorial excellence with a stint at the New York Post as Features Executive. One year later and she would become an integral part of Emap’s £15m magazine launch of Grazia magazine. For the past six years, Carole has taught journalism at the University of Sunderland, using her wealth of industry experience to mentor and bring journalism to life for our students, while freelancing for national and regional newspapers and magazines. Students at the University of Sunderland are given a real taste of life as a working journalist thanks to the industry contacts Carole’s gained throughout her career. “Because we’ve all worked in journalism in quite good jobs we’ve got amazing contacts who we put in front of the students at Sunderland, or we do masterclasses and take the students to London so they can hear from these really aspirational people," says Carole. High profile journalists such as Kevin Maguire, Associate Editor at the Daily Mirror; Fleet Street Fox; Louise Gannon and Julie McCaffrey, who has worked for leading women’s glossies Glamour and Elle, have all set foot on campus at Sunderland to inspire and share their career insights with our journalism students. Most recently, Carole and the Fashion Journalism students travelled to York to attend an event and a talk given by the most powerful woman in fashion, Anna Wintour, Editor-in-Chief of Vogue. Whichever area of journalism you want to specialise in, be that Broadcast Journalism, Magazine Journalism, Sports Journalism or Fashion Journalism, you’ll have the chance to speak to some of the biggest names in the industry at Sunderland. “People I’ve worked with at the Mirror, Grazia, and News of the World will talk to our students and because of my contacts at Fabulous magazine, a lot of my students go on placement there and spend time down in the Shard working on The Sun on Sunday. Aspiring journalists can also work in the mediaHUB, our digital publishing and broadcasting space. Here, you can work on social platforms covering news, fashion, sport, arts and entertainment, or work on our award-winning radio Spark FM. You’ll work with industry-standard facilities and fully-equipped journalism suites including Apple Macs, giving you access to the latest design and video-editing software such as Photoshop, InDesign, Final Cut Pro and Newscutter. Traditional journalism may be in a state of transition, but Carole says at Sunderland students are equipped with skills to go into a range of roles. “In my day it was newspapers and magazines and that was that. There’s a lot of people who say it’s all doom and gloom, and there are no jobs anymore and people aren’t buying newspapers, and there’s some truth in that. What we prepare our students for is a different culture and a different landscape. So yes there might not be as many traditional print jobs, but there’s a whole new raft of careers they can go into. “A lot of our students are going into social media jobs. In fashion, they’re working for e-tailers and working on fashion websites like ASOS and Net-a-Porter. We give them the whole toolkit of skills, whether they need to learn video journalism, photography or how to be on Instagram, so that they’re prepared to go into different types of careers. “We teach a lot about how to present stories online and how to promote them on social media through Twitter, how to use Periscope, and for Fashion certainly how to use Instagram, Pinterest, and Vine. “The jobs are out there, you just need to have the right skills and enthusiastic teaching staff who want to learn the new skills and not stick to the traditional skills that I learned. All of the Journalism courses at Sunderland are NCTJ accredited, allowing you to study the essential skills of a journalist. From Shorthand and Public Affairs to Video Journalism and Court Reporting, you can ensure you’ll gain the relevant qualifications attractive to employers. “I think there might be this preconception that if you don’t come from this area why would you go and study courses like fashion in Sunderland – that you need to be in London. It’s just not true. “You have the same opportunities here to have access to guest speakers, professional journalists, and amazing facilities. 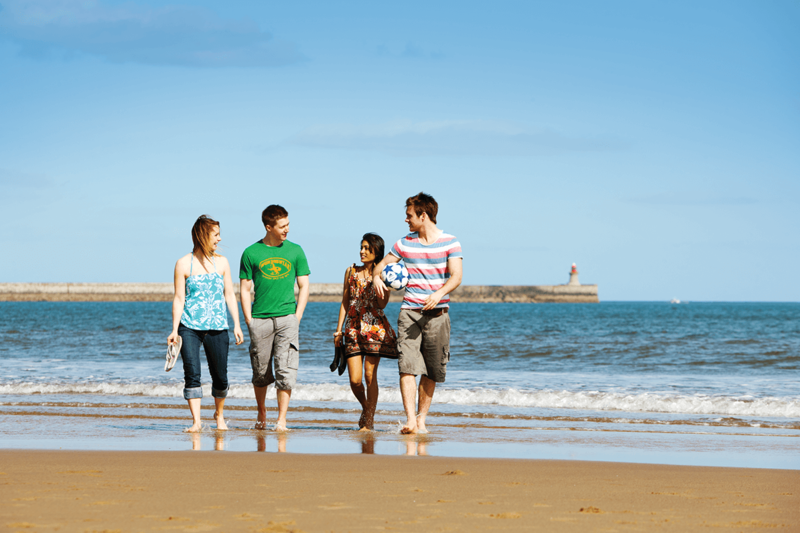 We’ve got much nicer beaches, we’ve got much more affordable accommodation and friendlier staff. “Sunderland’s got a lot going for it and we get a lot of feedback from students saying we’re accessible and we’re approachable. Everyone has their own personal tutor, people look out for each other here, and it’s a nice safe place to study. You get real access to people who’ve been there and done it," she concludes.